As FLAT-C shows no outstanding peaks, you can use them without giving high cut in high frequency range just letting it be attenuated naturally.- Connect a high quality capacitor and attenuator only to the HEIL driver to low-cut with a gentle attenuation curve for natural crossover.- This wiring method should bring you the simplest but the best results never achieved by conventional speaker systems. As FLAT-C shows no outstanding peaks, you can use them without giving high cut in high frequency range just letting it be attenuated naturally.- Connect a high quality capacitor and attenuator only to the HEIL driver to low-cut with a gentle attenuation curve for natural crossover. 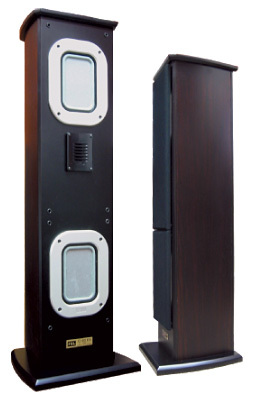 :- This wiring method should bring you the simplest but the best results never achieved by conventional speaker systems. 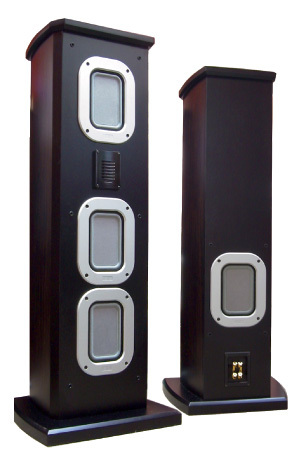 FLAT C drivers have been developed as the most ideal full range units with a support by HEIL Air Motion TransformerTM in place of a super tweeter. 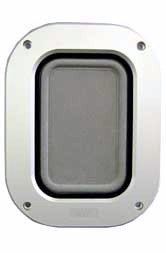 The FAL FLAT driver is the only wide range speakers in the world driving an epoch making FLAT single diaphragm. Completely unlike the others this flat driver is built with 100% Neodymium N45 magnetic circuit, simply and ideally designed inclusive of its diaphragm, only to have made it possible to reproduce rich and wide range as low as the lowest frequency by a small area diaphragm, and such was never attempted by anybody else. The area of this diaphragm was determined by aiming perfect reproduction of especially well balanced low and mid range. :- Use of a flat diaphragm was to solve various long unsolved problems peculiar to conventional cone diaphragm which had different sound generating points from the center over the outer skirt causing phase shifts, resultant distortion, and problems of directionality and impedance response. The FLAT diaphragm has solved all these problems, furthermore eliminated a "horn blowing" sound, and realized reproduction of more natural sound and image especially with depth. Impedance response of the FLAT driver proved no imbalance in low, mid and high range even at low sound level, and made it possible to reproduce every type of music in more natural and lively resolution and wide dynamic range by use of powerful magnetic circuit facing the diaphragm with right angle (patent pending), light mass diaphragm having most appropriate internal loss, damperless structure, and double edges sandwiching the diaphragm - front one with cut corners (patent pending) and rear one without cuts, with least distortion by use of the special voice coil which is effective vertically but not horizontally, in other words there exsist no horizontal magnetic circuit. :- Like the HEIL Air Motion Driver, the FLAT driver generates sound equally to both front and rear sides for full ambience demonstration. 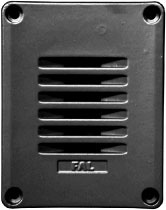 FAL believes the FLAT driver is really worthy to be recorded in history of the audio industry, and assures of its long life cycle. Powerful FLAT-C magnet is 100% Neodymium rod graded N45. Its single diaphragm does not destroy balance over the entire range, and the response in high frequency range was especially pursued to realize reproduction of clear sound performed to catch up the speed of HEIL Air Motion TransformerTM. :- It really gives beautiful and natural sound without using a crossover network. 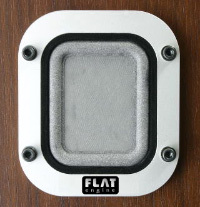 We believe world car audio fans will also begin using FAL drivers in their automobiles. In early 2003, we added a new version, Small FLAT driver, a much smaller in total dimensions than FLAT-C, also built with N45 Neodymium magnet and the same technology used in our past flat drivers as well as in FLAT-C. This driver is good for use in a bookshelf enclosure, as a car stereo door mount speaker, and some other industrial purposes.